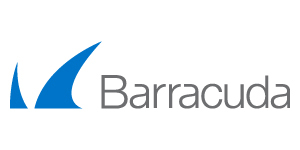 Trusted by the world's most security-conscious businesses, including financial institutions, government agencies and trading platforms; the Barracuda CloudGen WAF inspects all bi-directional web traffic, and guards against data loss by inspecting the HTTP responses from the back-end servers. Built-in access controls enable administrators to create granular policies for Authentication, Authorization & Accounting (AAA). Support for CloudFormation Templates enables admins and devops to automatically bootstrap and cluster additional instances as needed, for higher throughput and easy deployment. Active DDoS Prevention stops volumetric and application DDoS attacks before they reach your firewall. The built-in Barracuda Vulnerability Remediation Service removes much of the administrative overhead associated with firewall maintenance by automatically configuring the firewall based on vulnerabilities found in a scan of your application. Detects and blocks SQL injections, cross-site scripting, malware uploads, application DDoS, or any other attacks against your application. Authentication and access control gives organizations strong authentication and user control.